With every wedding there is a honeymoon and where better to spend yours than at the stunning Porcupine Pie Boutique Lodge in the Wilderness? In both 2009 and 2010 the lodge was awarded Silver, however they have now been awarded Gold and took home first place as the best Honeymoon destination in South Africa. This is a fabulous achievement and if you have been to Porcupine Pie Boutique Lodge you are sure to agree. If you haven’t yet booked your stay here are a few reasons why they make not only a fantastic honeymoon venue but also the perfect getaway for couples wanting to do just that … getaway. It is specifically designed to offer couples of all ages a retreat away from the hustle and bustle of city life. The design and features which make it so attractive to adults unfortunately make it unsuitable for children. The lodge is situated on a hill high above the valley and enjoys breathtaking views of the Outeniqua Mountain Range which lies to the North, and the ocean to the South. 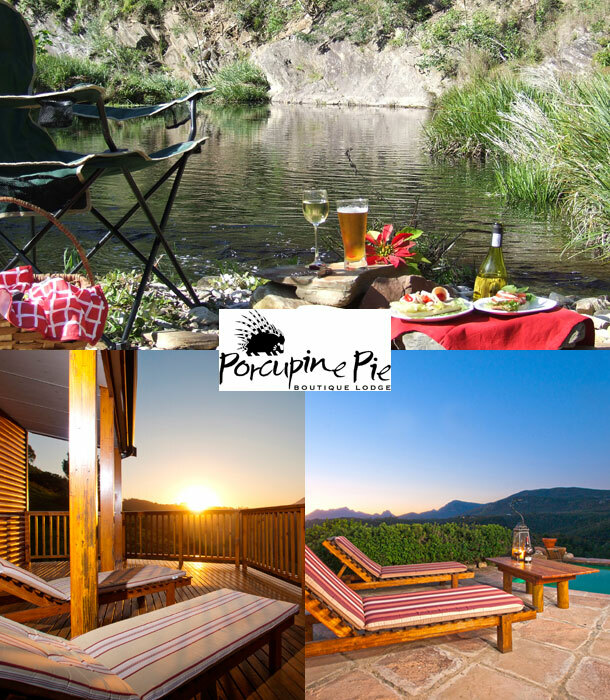 And despite the close proximity to the many places of interest and exciting activities the Garden Route has to offer (25 minutes from George Airport), Porcupine Pie gives one the feeling of having escaped the bustle of civilization. The three luxurious double chalets are all within easy walking distance of the lapa, but carefully placed so as to offer guests total privacy. 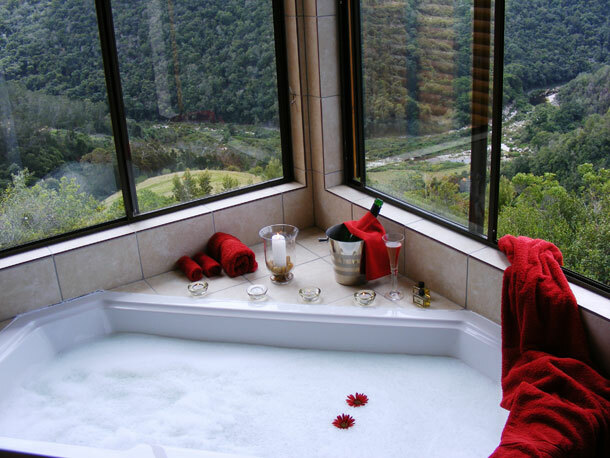 To book your romantic breakaway with your special someone telephone John and Judy on +27 (0)83 447-6901. If you’d like further details or to send an enquiry visit Porcupine Pie Boutique Lodge.